Want to know more about UAV’s, Drones and Quadcopters? Listed below are some of the best resources for information and insights about the Air Drone Craze. Includes popular links to Organizations and Forums. Federal Aviation Administration – (FFA) The Federal Aviation Administration is the national aviation authority of the United States. An agency of the United States Department of Transportation, it has authority to regulate and oversee all aspects of American civil aviation. FAADroneZone – A new portal for all things drone-related within one system, where you can register your drone(s) and manage your airspace authorization and waiver requests. Association for Unmanned Vehicle Systems International – (AUVSI) Is the world’s largest non-profit organization devoted exclusively to advancing the unmanned systems and robotics community. Academy of Model Aeronautics – (AMA) This is the major model aircraft association in the United States. The AMA and Federal Aviation Administration (FAA) work closely together to set up rules that are reasonable for using amateur UAVs. AOPA Drone Pilot Resources – (AOPA -Aircraft Owners and Pilots Association) Is the largest aviation community in the world. Promoting drone safety, education and integration. UAVs in the U.S. – (UAVUS) The largest membership association of unmanned aerial vehicle (UAV) videographers and photographers in the United States. Members are professionals in the fields of cinematography, real estate marketing, precision agriculture, utility inspection, search and rescue, and more. The Small UAV Coalition – An organization built on the goal of allowing broad and common commercial, civil, and philanthropic use of small UAVs in the United States and abroad. Composed of leading manufacturers, software and hardware providers, end users, and service providers in the unmanned aerial Systems industry. The Drone User Group Network – Promoting the use of civilian Drone technology for the benefit of humanity. Commercial Drone Alliance – Founded in 2016, with locations in Silicon Valley, CA and Washington, DC. The purpose of the Alliance is to support commercial drone users and assist them with adopting drone technology into their businesses, reducing barriers to entry, addressing public perception issues, and merging policy with innovation and help to create relevant rules for operation. Dronesafe.uk – For users in the UK, provides information about how to fly drones safely and legally, without endangering others. Drone Safety Canada – Information on Flying your drone safely and legally in Canada, Find out about drone registration, drone pilot certification and where to fly. There are 2 main categories of drone operation: basic and advanced. Each one has a different set of rules drone pilots must follow. DIYDrones.com – The largest community for amateur Unmanned Aerial Vehicles. RCgroups.com – Dedicated to all things Remote Controlled, they have a great forum section that post just multirotor questions and answers, along with a long history of existing threads to search full of great information for beginners. Droneflyers.com – Forums where they discuss quadcopters and multirotors in all their various brands and configurations. Dronevibes.com – (formally MultiRotorForums.com) The world’s leading dedicated online community for all levels of multi-rotor builders/pilots. All brands, all models, basics or advanced applications! Drone Pilot Ground School: UAV COACH has a self-paced online course that will teach you safety and also help you prepare to pass the FAA Part 107 Aeronautical Knowledge Test. Mapping and 3D Modeling 101: learn how to use your drone to capture data that can be turned into maps and 3D models for your clients. Drone Aerial Photography and Videography Basics: Learn how to safely setup and fly a DJI Phantom and configure it for FPV. Learn how to process aerial photos and video. Stunning Aerial Videography and Photography Using Drones: Create aerial video & photos that DELIGHT your audience: Learn from basic drone handling up to advanced flying & editing. DJI Mavic Drone – Time to Create Amazing Aerial Photos: First-time flyers can learn how to fly and create amazing aerial photos & Videos. The Ultimate Guide for Land Surveying with Drones – Part 1: Master the complete workflow using DroneDeploy, Litchi and Pix4D. Start your own UAV mapping business right away! UAS Integration Pilot Program – An opportunity for state, local, and tribal governments to partner with private sector entities, such as UAS operators or manufacturers, to accelerate safe UAS integration. Drone Industry Insights – is a market research and analytics company based in Hamburg, Germany. They provide insights, competitive intelligence and market data for the commercial drone industry. DRONELIFE – updates on the latest drone news, product releases, YouTube videos and legal precedents so you can stay informed about the rise of the emerging commercial market for drones and drone technology. Dronelaw.in – is a list by country of current Drone laws. Droneadvisor.com – launched to help you Find, Compare and Book Drone Services. 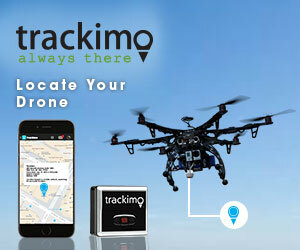 FindMyDrone.info – is a new site, but claims to help drones owners find their lost drones with a few easy steps. Skyfund – backed by DJI and Accel, Aim is to support entrepreneurs who are building the important technologies that drive UAVs into the hands of consumers and enterprises, across a wide spectrum of high-value use cases, including application, hardware, peripheral and services categories where Unmanned Aerial Vehicles (UAVs), robotics and intelligent machines can make a meaningful impact.